You want a professional company that cares about YOU. Someone you can trust. A&A Mold and Allergy Investigations ONLY performs mold inspections, mold testing and indoor allergen testing. We do not offer removal or remediation services. We have no conflict of interest. That means we don’t benefit financially by finding a mold problem. We just look for the truth: Do you have a mold problem? Yes or No. That way we provide you the best service that’s in your best interest so we can help you with the best inspection and testing services in San Diego County. You will receive honest insights about your property’s condition because we specialize in mold inspections. You will receive great service and effective solutions for your needs. After the physical on-site inspection, you will receive a comprehensive, detailed report (usually within 24 hours) to help you understand the condition of your property. You want mold experts who provide the best insights and service. We stay informed and up-to-date about mold, indoor air quality, and potential health effects so we can best serve you. 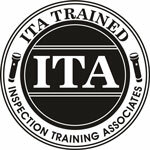 View the list of our certifications and continuing education. You can rest assured that when you put your trust in A&A Mold and Allergy Investigations. A&A Mold and Allergy Investigations is a member of the Better Business Bureau as a San Diego Mold Inspection Company with an A+ rating. Chad Blum is the owner and mold inspector of A&A Mold and Allergy Investigations located in San Diego, CA.